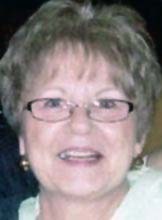 CEDAR FALLS — Patricia A. Bergmann, 60, of Cedar Falls, formerly of Waterloo, died Saturday, April 21, 2012 at Allen Hospital, Waterloo, following a sudden illness. She was born May 8, 1951, in Waterloo, daughter of Donald and Lois Kellogg Dawson. She married Elton C. Bergmann, and they later divorced. Ms. Bergmann worked in the print shop at Covenant Medical Center for many years and was currently employed at Professional Office Services, Waterloo. Survived by two sons, Kenny and Kirk (Amanda Stroh), both of Waterloo; three grandchildren, Tristan Lee, Kelsey Leah and Kenna June Bergmann; three stepgrandchildren, Gavin Kelly, Corbin Dean and Tristessa Alleyne Stroh; a brother, Danny (Eldora) Dawson of Waterloo; two sisters, Debbie (Mike) Hanson of Waterloo and Barbie (Chris) Kelly of Hiawatha; and two sisters-in-law, Louise Dawson of Waterloo and Elly Dawson of Evansdale. Preceded in death by a granddaughter, Taylor Ann Bergmann; and two brothers, Jim and Les Dawson. Services: 10:30 a.m. Thursday at Kearns, Huisman-Schumacher Chapel, with burial in Waterloo Cemetery. Visitation from 4 to 7 p.m. Wednesday and for an hour before services Thursday at the funeral home.